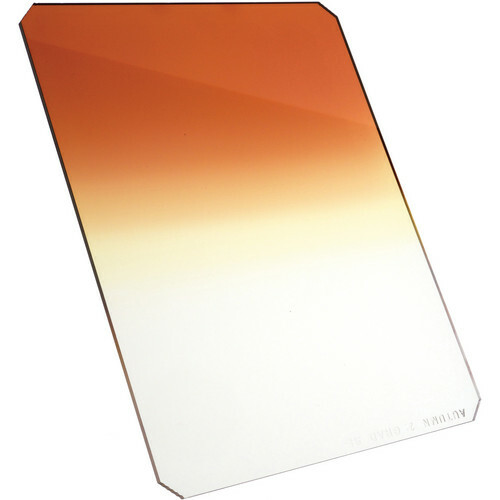 The Hitech 165 x 200mm Autumn #2 Hard Graduated Filter is a hard-edged graduated color filter that blends tobac and yellow, helping to enhance the colors of foliage and provide an autumnal mood to your photographs. The graduated filter design keeps a portion of the image neutral, resulting in a more realistic look while allowing for the sky or other bright areas to take on the color of the density. This filter measures 6.5 x 7.9" / 165 x 200mm and is constructed out of CR-39 dyed resin. The #2 filter is the middle density of the series and provides a moderate amount of autumn coloration. This filter is compatible with the Hitech 165mm Lucroit filter holder. Autumn tint enhances the colors of foliage and provides an autumnal mood to your photographs. 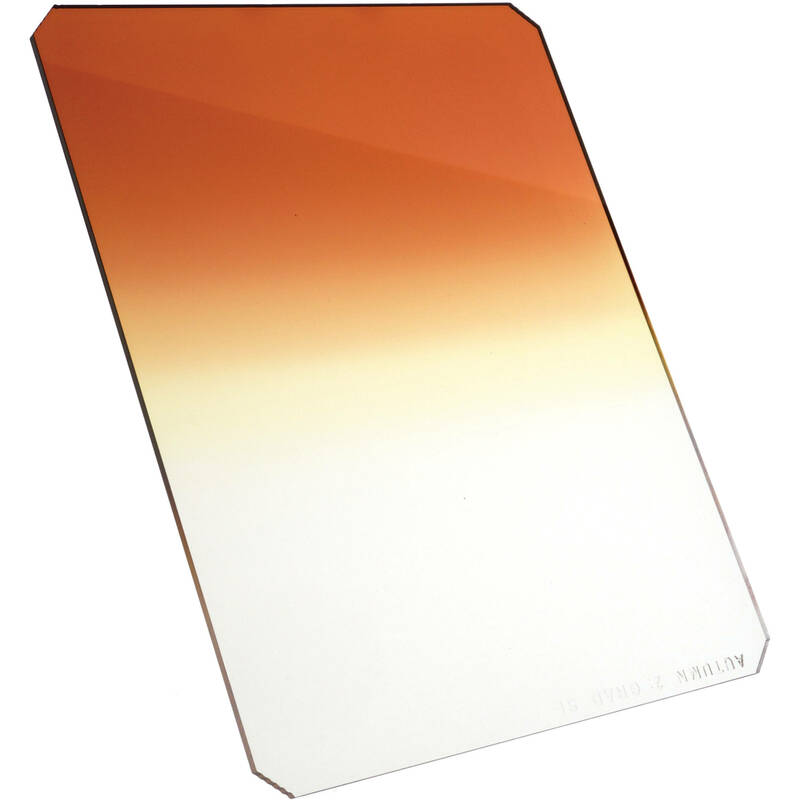 Filter measures 6.5 x 7.9" / 165 x 200mm and is constructed from CR-39 dyed resin.